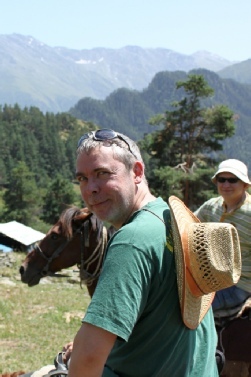 Gavin Bell is a long standing sustainable tourism development professional who settled in Transylvania in 2006. Gavin worked for several years as tourism project manager with a foundation working in the Saxon Villages of Transylvania for the development of innovative community based tourism initiatives. Working closely with local families, he and colleagues helped develop opportunities for them to share their daily life and passion for the rich nature and local culture with visitors. This helps bring much needed supplementary income to help sustain a traditional way of life and encourage families to stay together. As part of this work, Gavin was responsible for the day to day management of HRH Prince of Wales guesthouse in the village of Viscri. His role of ensuring that every guest left as an ambassador of Transylvania is carried over into helping you take away life long memories and leave new friends behind.